Colin Joynson is one of the most recognisable faces in professional wrestling throughout the UK and Europe having a career than spanned in excess of 30 years, the majority of which was at the top of the profession. As a teenager, Colin was taken under the wing of Jumping Jim Hussey who at the time was one of the top grapplers in the UK. Starting out as a welterweight wrestler, Colin moved through the weights taking on many of the biggest names the sport had to offer. 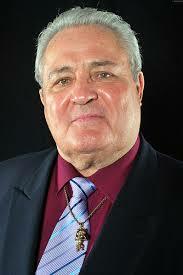 Colin first started out wrestling for independent promoters and had his first professional bout against Bob Steele. However, such was Colins determination to make a name for himself in the business that he approached promoter Ted Beresford and after a trial signed with Wryton Promotions and was soon to be seen as a regular on the Joint Promotions circuit. Colins first match for Wryton/Joint Promotions was against Bob Steel and this was to be the start of Colins near 30 years with the promotion which took him not around the Northern halls where he had already made a name for himself but across Europe as well. On the 23rd March 1963 Colin had his first taste of national television exposure when he faced fellow Mancunian Terry Downs in an explosive match from Bolton. Not only were Colin and Terry to face each other many times in the future but it was the first of numerous televised appearances that Colin would make over the next 25 years. 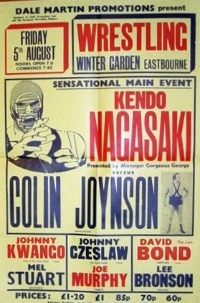 Such was Colins enthusiasm for the sport that it was not long before he was in demand throughout the Joint Promotions network and in 1964 he had the biggest test of his career todate when he faced Jackie Pallo at the Royal Albert Hall, the mecca for professional wrestling at the time. Colin would go on to appear at the Albert Hall a total of seven times during his career. Throughout the remaining 1960s and 1970s Colin could be seen regularly throughout the UK taking on the likes of George Kidd, Johnny Kwango, Vic Faulkner, Tony Charles, Steve Logan, Mick McManus, Shirley Crabtree, Tony St Clair, Roy St Clair, Johnny Eagles, Marty Jones to name but a few. Colin was now an established wrestler in the UK and it was only a matter of time before foreign promoters came calling and this resulted in him attending many of the major German tournaments which at the time were World renowned. It was whilst wrestling in Germany that Colin earned the nickname of The Pocket Tank, a name that remained with him until his retirement. It was not uncommon for Colin and his family to set up home in Germany during the summer months so that he could partake in the relevant contests. Colin was also a regular visitor to Belgium and France and also joined fellow British wrestlers such as Billy Robinson and Barry Douglas in Japanese rings in the 1970s. Colin had trained hard to make his mark in the professional world and even to this day he is insistent on the fans going home happy and this is why, when wrestling, Colin would always give 100% and anyone would be hard pushed to name a match where Colin did not do this. Whether he was a fan favourite or not fans were always guaranteed of a good match when Colin climbed through the ropes. Although Colin was known as a solo wrestler he did at one time form a very successful partnership with Steve Haggerty where they wrestled as The Dangerman. Although this team were known to bend the rules at every opportunity they had a great deal of success and wrestled many of the other top tag teams at the time. 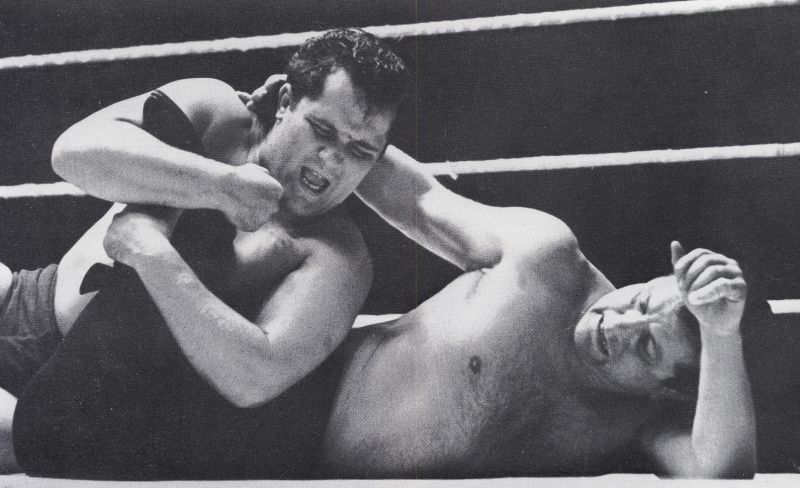 Although Colin did not achieve the heights of World Champion he did oppose the then World Mid Heavyweight Champions Marty Jones in a televised match for the title. Colin gave Marty a very entertaining and hard fought match and at times could have picked up the victory but unfortunately for Colin it was not to be. Colin was always the consummate professional and remains so today. He is very protective of the business and is not afraid to state his opinion when people try to discredit the business. Colin retired from wrestling although continued to run his public house. A setback for Colin came when through illness he lost part of his leg but Colin was not to be disheartened and with his strong determination he overcame this obstacle to get his life back on track. Now, in 2014, Colin still takes a very active role in the wrestling business. Over the years he has led his support and advice to many young wrestlers and can take the credit for many wrestlers of the past achieving the great heights that they attained to. 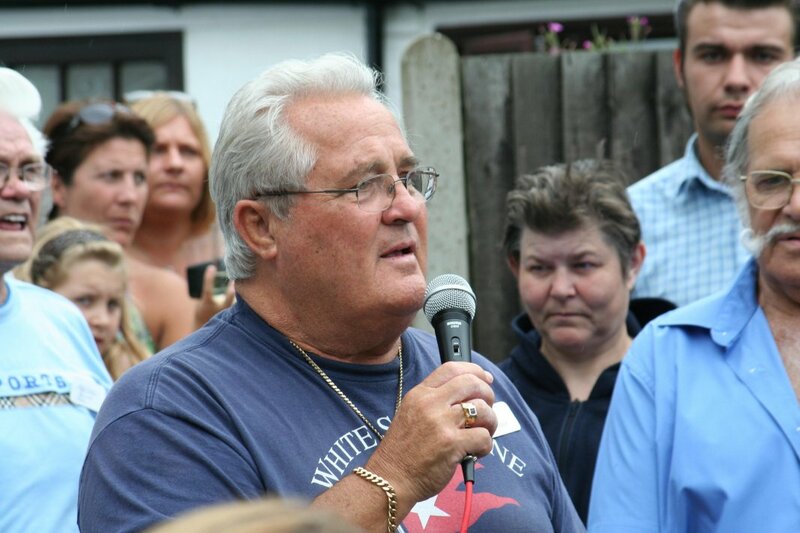 Colin is a great supporter of the Reunion and is a associate committee member. At the reunion day Colin has the inevitable task of announcing the obituaries for that year and he does it with great professionalism as you would only expect from him. The generosity that Colin has given to the business has allowed others to shine and we feel that this lasting tribute to him is well deserved.